I snagged this pack with a helluva deal because it looked like it had a bunch of the features I was looking for. It is a standard top-loader, but it also has a side access zipper. It has an outer zipper compartment for your shovel with sleeves for your probe and shovel handle. There are tons of buckles on this thing that make it really easy to cinch down, with most of the straps having a little velcro tab that allows you to roll up the end of the strap so it is not flapping in the wind. There's a hip pocket on one side of the belt, and a gear loop on the other. There are dual ice axe/tool loops on the back with really cool bungie straps at the top that lock the handle of the tool down. All-in-all, I was really psyched to get this pack, until I put it on. 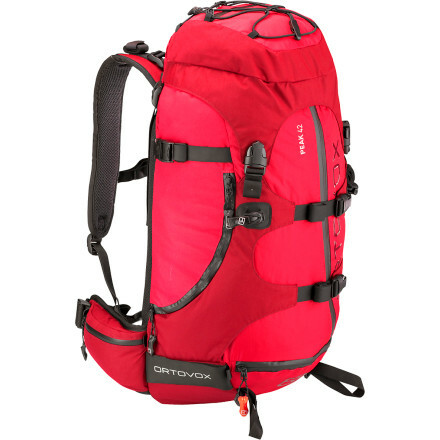 Since it is a smaller capacity pack, it doesn't have much length to it. (FYI- I am just a little over 6' tall, about 145 lbs) I adjusted the shoulder straps so that hip belt was actually sitting on my hips and not above my bellybutton, but then it felt like the pack weight was hanging too far away from my body and was flopping around and shifting too much - just too unstable. 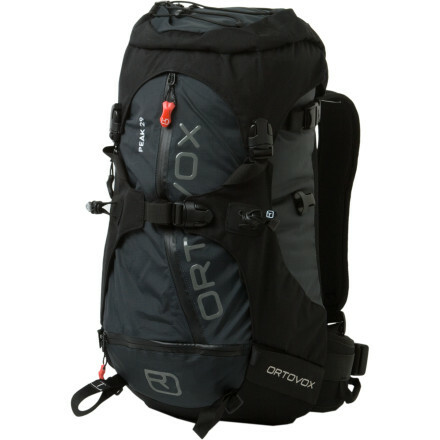 In the end, I think this would be a great pack as long as you are a bit shorter than 6' and have a smaller torso. It has tons of bells and whistles, and looks like it will do the job well. If it would have fit better or at least been able to adjust better, I would have ranked it higher. I think I am going to send this back or sell it and grab the Ortovox Peak 42. 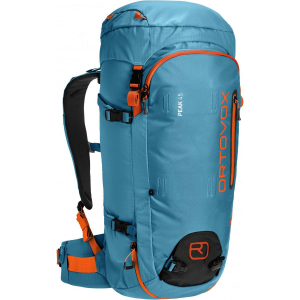 It is a larger capacity and looks to be a little longer, but still is as fully featured as the Peak 29. 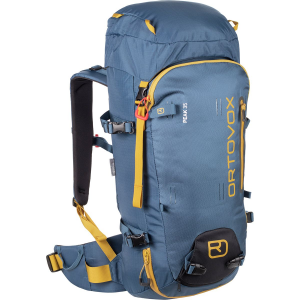 The Ortovox Peak 29 is not available from the stores we monitor. It was last seen April 9, 2012	at Backcountry.com.